This WEP entry is the installment #2 of my novella Magic Senegalese. Please check out the other participants in the challenge here. To remind you what has gone before in my story, you could read the first part here. It ended with Naomi’s father telling her that they’re going to Pittsburgh. “I was born in New York,” she objected. “I saw my birth certificate.” She ventured a sideway glance at him. He seemed inscrutable, as always, and she returned her attention to the road. “It’s a duplicate,” he said. “They issue one to every baby born in a foreign country of American parents, when they first arrive back in America. The original was issued on Elfhome. In Pittsburgh. It’s in here.” He patted his breast pocket. As far as Naomi knew, her father never talked about her mother, except saying she couldn’t raise her daughter for family reasons. He never answered any of Naomi’s questions, never blamed her mother for anything, but Naomi had always been resentful. She had always assumed her mother was a white married woman and wouldn’t acknowledge her illegitimate daughter with a black lover. Maybe she didn’t want a half-blood girl? On the other hand, if her mother was an Elfhome citizen, perhaps the situation was different. Perhaps she couldn’t leave home. Maybe the elves, who ruled Elfhome, wouldn’t allow an illegitimate child? A mulatto child? Who knew what the elves thought? “What?” Naomi’s hands tightened on the wheel. “It’s her name. Raindrop. She was so beautiful,” he said dreamily. “You did. When you were born. She…” He winced and looked away at the car window. “She what?” Naomi prompted. She was so flabbergasted she felt as if she was listening to a fantasy show on the radio. An audio version of Game of Thrones, maybe. It didn’t feel real. “Their bodyguards,” Naomi translated softly. “I didn’t know,” Naomi said. “No,” he agreed. He still gazed out the car window and wouldn’t meet her eyes. “Rye,” Naomi repeated. To escape a murderer in New York, she was driving to Elfhome, an alien planet where immortal elves wielded magic. Where she didn’t know a single person. Where she half-belonged, maybe even could work magic herself, but she couldn’t tell anyone, because if someone found out about her mother, they might kill her. In her wildest imagination, she could never imagine such a road trip. A trip to Elfhome nobody but her would ever make. She shook her head and started laughing. It was either that or howling, and she preferred laughter. 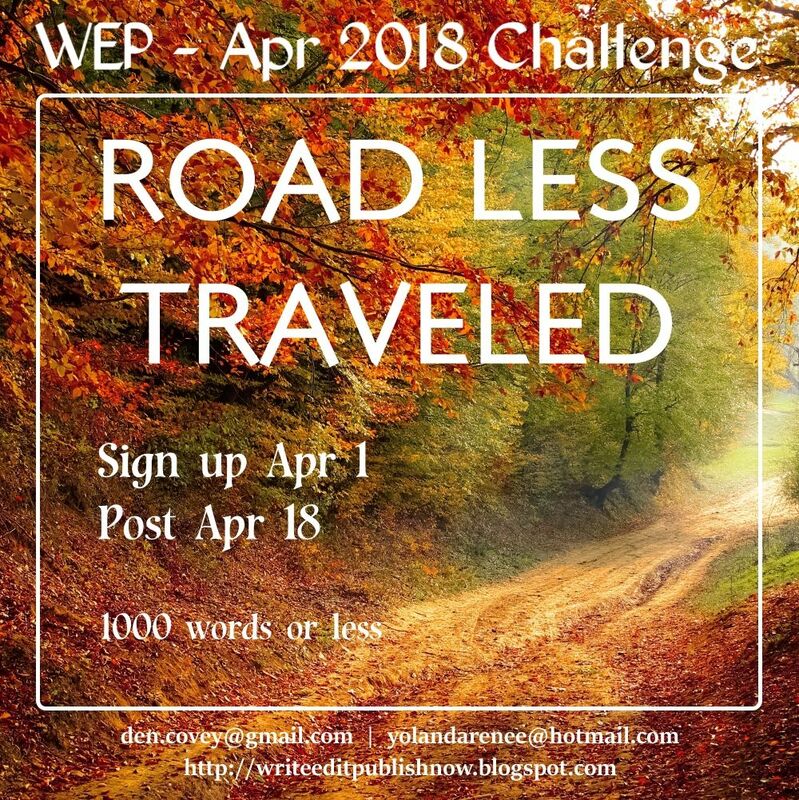 This entry was posted in Fantasy, Novella, Olga Godim, science fiction, WEP and tagged Elfhome, Fantasy, novella, Olga Godim, science fiction, wen spencer, WEP. Bookmark the permalink. Denise, the names convention is not mine, alas. I follow the way the original author, Wen Spencer, named her characters, even though the characters themselves are all my own. on these girls did they hex. I used to live in Pittsburgh, who knew? 🙂 An exciting continuation. I can’t wait to read more. Excellent work! Oh, you must read Wen Spencer’s “Tinker” then. It is all about Pittsburgh. One of my favorite speculative fiction novels. I’m in love with its protagonist. Oh I love the gradual reveal that is happening in this serial story! Captivating work as usual. Looking forward to the next excerpt already! VERY INTERESTING premise and snippet! I enjoyed it. I like how you created a unexpected twist on this elfin world. I love that she prefers laughter! This is an excellent premise. This girl has fascinating origins, and I’m curious what awaits her in Pittsburgh. Well done! Perfect dash of fantasy mixed with modern day. I loved it!!! Will this be a book? A short story? A novella? I HAVE to read it all!!! Thank you, Donna. It’s going to be a short novella. I plan to publish it in full on Wattpad soon. Well that’s an interesting tale. I’m curios to see if she meets her mother, or her mother’s friend. Will she recognize her own daughter after all these years? The “You could buy a house in Pittsburgh for a dollar” part made me laugh. Is that a magical dollar? I’ve been to that city a couple of times, never saw housing that cheap. Anyway, I like the story. Seems like some good metaphors mixed in. Guessing it’s an Urban Fantasy. Nice work. The story is fan fiction, based on Wen Spencer’s Elfhome universe. I explained it before the first chapter, in the previous WEP post. I guess I should’ve mentioned it in the intro to this post again. In Spencer’s world, you can buy a house in Pittsburgh for a dollar. Okay, I lost my comment. It said it couldn’t be posted. Why I don’t know. Anyway, I love this story. I bought your Squirrel of Magic and I am looking forward to reading it. Please ensure that this book is also on Amazon Germany’s website so that I can purchase it when you’re finished. Thank you, Pat. This book will not be on Amazon. It is fan fiction, based on Wen Spencer’s Elfhome universe. But I’ll publish the full version on wattpad soon. The elf names are great indeed. She’s sure on a journey that she never expected and could bring about much. Magic and all. This story has some interesting elements, and I’d read more. I’ve always liked elven stories, but haven’t read any in a long time. Well done, and the elven names remind me of Native Indian names. Not sure if you got my comment earlier, Olga. Now I can’t even remember what. So I will read again and comment. Raindrop is a lovely name. Yours is a lovely, intriguing story. Racial issues are often of a sensitive nature and I’m sure no harm was intended.